I had a mission this weekend.... I spotted a notice on an Cloudy Nights, FREE SAMPLE! in the small German town of Leverkusen. 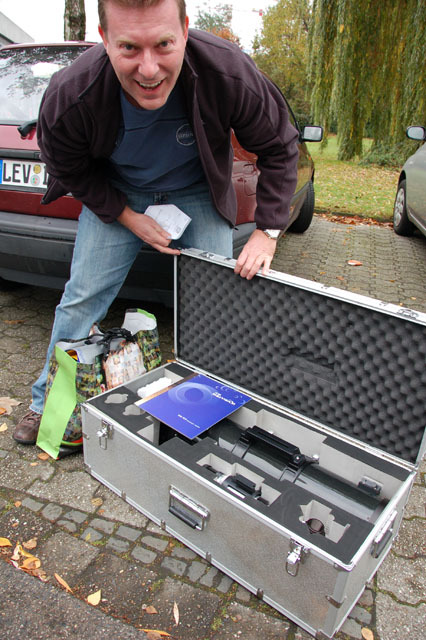 There had been a trade show Photokina in the town a few weeks ago, and one of the demonstrators had left some of his astronomy equipment rather than carry it back to Asia. Being only 6 hours drive away, I couldn't let this opportunity pass. So early Saturday morning - precisely 6am - we left for a weekend road trip... destination: Leverkusen - location: halfway between Cologne and Düsseldorf on the eastern bank of the Rhine. 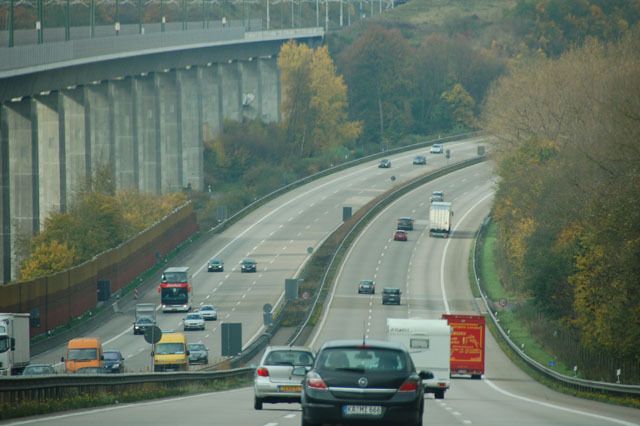 The autobahn... and the need for speed. 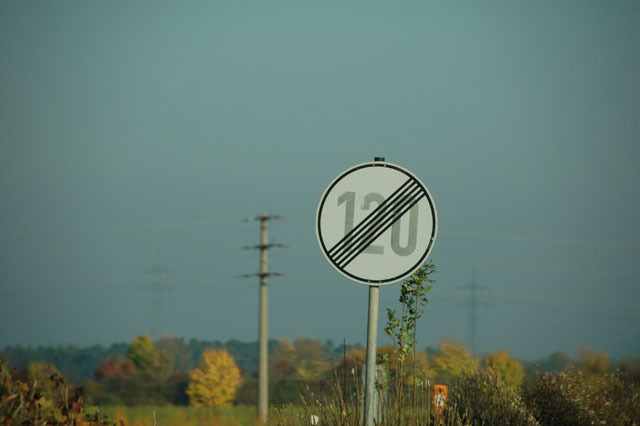 We definitely liked seeing this sign.... no more speed restrictions. 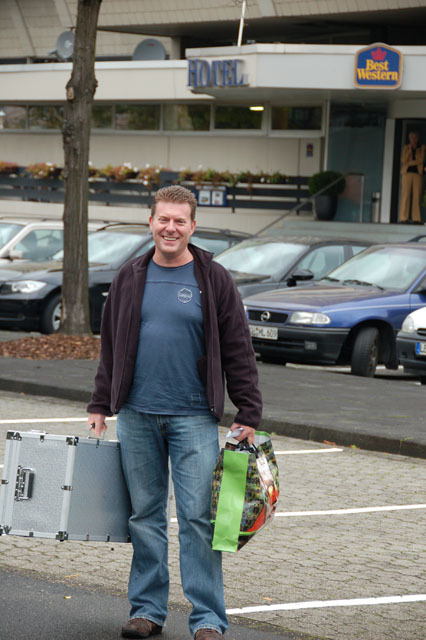 Finally arriving at the Best Western Hotel in Leverkusen, and one happy customer! The notice on CloudyNights was true, and not a scam. There was also a few spotting scopes and binoculars thrown in as well. With the primary mission accomplished, it was off to do a bit of touring around Köln. The "Hohe Domkirche St. Peter und Maria" or otherwise known as the "Köln Dom" is one of the best-known architectural monuments in Germany. 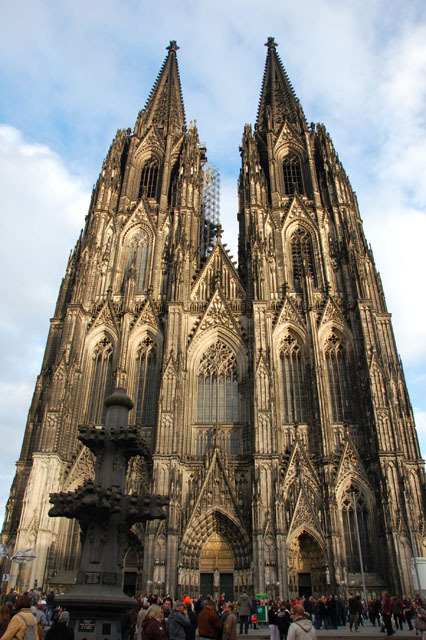 It is one of the world's largest churches, being the largest Gothic church in Northern Europe. For four years, 1880-84, it was the tallest structure in the world. The cathedral suffered during World War II, but it did not collapse in an otherwise flattened city. Believers said it was divine intervention. The repairs to the building were completed in 1956. A very majestic building. So what do I think of this telescope? This is a very interesting telescope to own! I believe it was made by Jinghua Optics & Electronics Co in China	and has been sold under the brand names MaxVision and as the "David Levy Comet Hunter". The Maxvision version was announced here on CloudyNights back in August 2008. The product is still available from HKAstroEquipment here. The Mak-Newt design has a front corrector plate, but unlike the Schmidt-Cassegrain, this one is more steeply curved, in fact I believe it is spherical. Because of this the stars do not have diffraction spikes that occur with spider veins The tube is made of black carbon fiber and it looks great. The scope came with a handy aluminium carry and several other accessories courtesy of MaxVision. I feel that I'm yet to get the most out of this scope. Up until recently I'm was not getting pinpoint stars to the edge of the field, and I suspect was because the collimation was out and the mirror clips were too tight. Here is an example of the types of images I was getting - have a close look at the stars in the corners and you will see what I mean. Recently I have bought better collimation tools and the scope is now performing much better.